Oli Duntemps, extra virgin Olive oil D.O. A virgin fruity Olive Oil with extra virgin quality. A pure Arbequina olive oil. Fine nutty flavor, aromatic hints of artichoke and nuts, green coloured oil which appeal to all the senses. The oil is not filtered, so it keeps all its organoleptic properties. 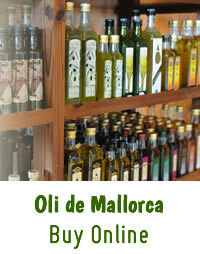 Made in the traditional Oil Mill Son Cuixa by mechanical process without chemical processes and additives. 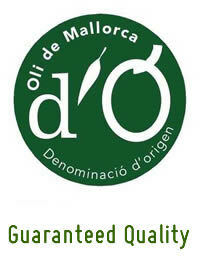 Pure Natural Olive Juice awarded with the Designation of Origin "Oli de Mallorca".